The current volume in the Daf Yomi series. 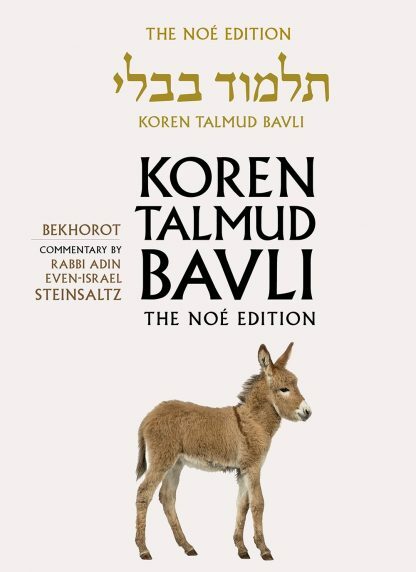 Tractate Bekhorot Part I, is the 39th volume of the Koren Talmud Bavli project. Like the preceding volumes, it includes the traditional pagination of the famed Vilna edition, in clear Koren font, vowels, and punctuation. Rashi is also vowelized and punctuated. 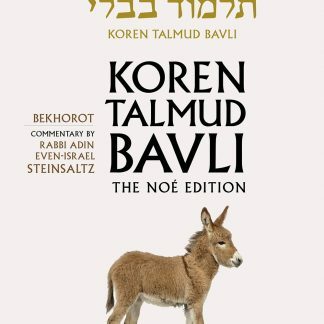 The bilingual section of this edition includes clear English translation, along with a treasure trove of supplementary information that explains the text, written by the remarkable Rabbi Adin Even-Israel Steinsaltz. This includes color photos, maps, introductions and summaries of each perek, scientific and historical notes, and more.